Once upon a time, Symbian ruled supreme in China. Then, Nokia adopted Windows Phone, and Symbian fell off a cliff. And if there is one story of complete market capitalization that is of Android eating up Symbian’s share in China. Google’s platform now has increased its market share to more than the mind boggling 90% in the world’s most populous country, according to the latest report by Analysis International. The share is likely even higher, but the analysts don’t count knock-off Android devices. Just last year Android’s share of the Chinese market was 58.2%, so that is some very, very impressive growth. While Symbian was the biggest loser in China, the iPhone has also lost market share and now has a tiny 4.2% of the market, down from 6% last year. And just how much did Symbian lose? Catastrophic does not describe it well enough - it slumped to 2.4% in Q3 2012 down from 31.5% in Q2 2011. 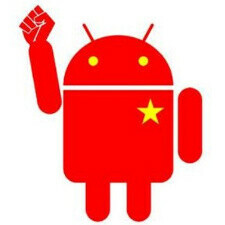 Still Android’s rise in China does not necessarily translate into huge gains for Google. China is actually blocking many of the company’s services. well, windows phone has nothing to do with the demise of symbian. it had to fall off. windows phone might save nokia. Android is the most advanced OS, and the best thing is it's opensourced. Google is generous with Chinese manufacturers even when it doesn't benefit the OS developer. Really so what happen Windows1234567& no 8? All failed? In a word, WOW. It helps to have Chinese OEMs using Android, just bring some of those killer phones to other countries, please. I thought Apple would have a boost after opening Apple stores in China... Seems like that's not the case. power of OpenSource. Google is the future. If that's the case in China, I wonder how is it in Japan....it's probably 95% or higher. sooner or later it would be the same all over Asia. some credit goes to apple as well for overpricing. iphone5 costs over $1k here in India. People are loving Android. Yea $1K and Airtel showing just panormama as feature in TV advertisements that have just started for IP5. Only kids who want to show off their dad's money buy these toys not for features but only for price... India is Android, Symbian, RIM still. Certain fans make fun of cheap Android phones, but it's the full spectrum of low, mid, and high end phones that will make your comment a reality. It's not just the openness of Android that makes it successful, it's the rich diversity of handsets available. I think Google saw that early on and knew they had a winner because of it. What is the point when google is not making any on those phones? Most of these android phones can't even access the playstore. At this moment, it is more of a bragging right than anything else. Proliferation of an ecosystem is worth far more than not making much, if any, on low end handsets. Not only that, if OEMs can make money on them, it creates more opportunities to work on high end handsets. good job for zte, huawei, and tcl communications, then add to that all the unbranded chinese mock-up phones. Im sure they are all having the same experience as you would have, albeit not paying that much for an s3 or other high-end android phones that you paid for. now, who's the loser?